Tranquility Base: What time is it on Mars? 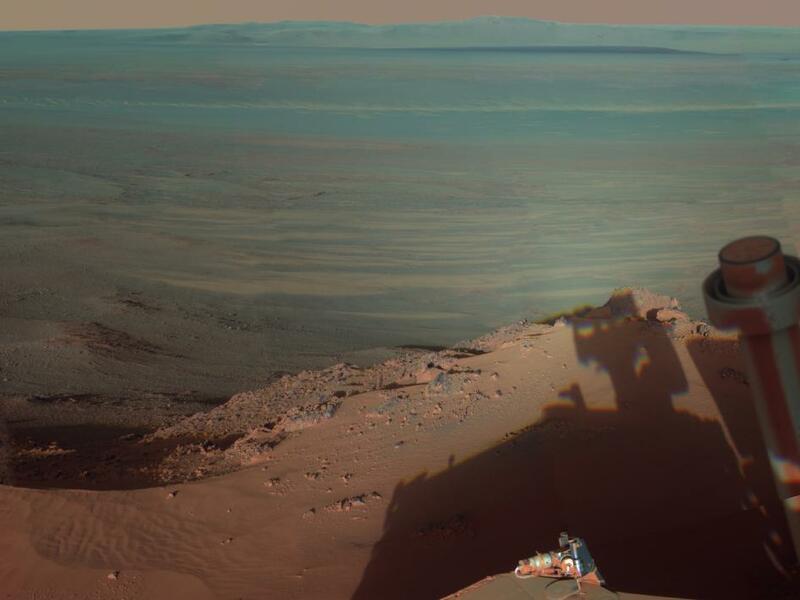 As of when I'm writing this post, it's 5:01 Mars Solar Time on the edge of the Endeavor Crater on Mars. 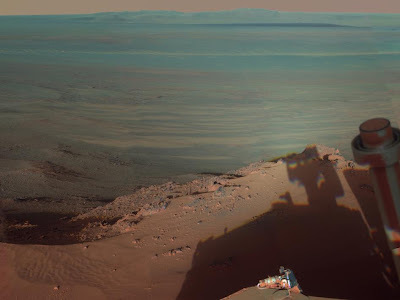 That's where the Opportunity Rover is sitting. For comparison, right at this moment, where I am on Earth, the time is 9:24 PM CDT. Since Mars spins at a different rate than Earth, Martian days are not 24 hours long. A Mars day is 24 hours, 39 minutes, and about 35 seconds long. So, not too far off from an Earth day... and really not a problem at all, since there isn't anybody living on Mars, right? Wait, but what about all those people who are living on Earth but working on Mars? As in, the team of Jet Propulsion Laboratory scientists and engineers who support Mars missions ... what about them? The Mars Exploration Rover mission, featuring the Spirit and Opportunity rovers, landed in 2004. The first 90 days of that mission were the most intense, with the two solar-powered rovers working during the day and sleeping at night. At the end of every Mars Day, data from the rovers' activities was uploaded via satellite and sent to Earth. And then, while the rovers sleep, the humans needed to work: analyzing the data and planning for the next Martian sol (day). So, for those first 90 days, folks working on the mission lived on Mars Time! Adding an extra 39 minutes to each day means that while you may begin the week on Monday reporting to work at 9:00 AM PST, by the following Monday you are reporting to work around 1:30 PM PST, and so on. As one might imagine, it is a grueling schedule. A team member, asked for suggestions in adhering to Mars Time, recommended staffing the next Mars mission with "childless, unmarried orphans." Since Earth restaurants operate on Earth Time, mission staff at JPL relied on late-night (Earth Time) catering to ensure they could get lunch every Martian Day. 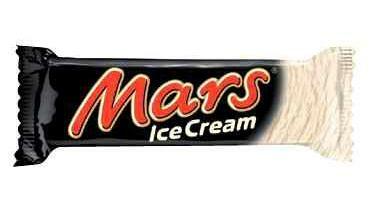 Snacks available on site included ice cream... according to a NASA report, it was pretty typical for staff to eat 3-5 ice cream bars every Martian day: "Some people gained weight. There is anecdotal evidence that team members relied on the ice cream as both a reward and a pick-me-up to push through the harder parts of their shift work." Source: Mars Ice Cream's Facebook Page. My first three blog posts left me really wanting to travel into outer space. This blog post is making me hungry. And making me want to travel to the Ice Cream Capital of the World. Another aspect of Mars Time was that clocks at JPL were set to dual displays, for the local timezone on both planets. In his excellent book about the Mars Exploration Rover mission, Principal Investigator Dr. Steve Squyres explains how he and other mission personnel had watches made specially for Mars Time. A Mars Time watch face. Source: NASA. For the Mars Exploration Rover mission, Mars Time shifts ended 90 days into the mission. After that, folks synced their work schedules with Mars night time to a certain extent, but no longer punched the Martian time clock. Source: Mars Ice Cream Co.; NASA; NPR; Deborah Bass, Choosing Mars Time: Analysis of the Mars Exploration Rover Experience.